In the near-future, could be me! Thanks to Jeff Bacon’s BROADSIDES cartoons, I can always find some dead-on nautical humor. 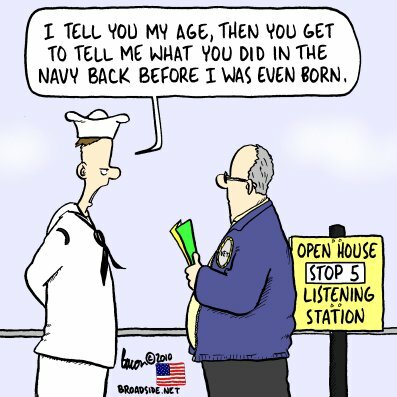 When I attended an Admiral’s Call in 1999, we celebrated birthdays of the oldest and youngest Sailors that month – the youngest one had been born AFTER I graduated high school.